From Feb. 14-16th, the public can cast their votes for the Viewer's Choice Award in the the 2018 What's So Cool About Manufacturing (Chester and Delaware Counties) video contest. In December 2017, a team of students from the Phoenixville school district came to Omega Design's manufacturing facility prepared to film equipment and interview employees. With guidance from their coach, the team learned to script, record, and edit their video stories. This marks the third consecutive year that Omega has participated in this student-led video contest to answer "What's So Cool About Manufacturing". The contest’s main objective is to change perceptions about manufacturing careers. Be sure to cast your vote for your favorite video before Friday, Feb. 16th. Winners will be announced at a formal Awards Ceremony in Malvern, Pa on Mar. 6th. Omega routinely partners with the Manufacturing Alliance of Chester and Delaware Counties (MACCDC) and other local organizations to raise awareness and interest in manufacturing careers. Student awards were handed out for the Chester County "What's So Cool About Manufacturing" video competition on April 6, 2016 at the Penn State Great Valley campus in Malvern, Pa. Judges awarded the Phoenixville Area High School student team with the Outstanding Videography award for their short video profile of Omega Design and its manufacturing operation. The “What’s So Cool About Manufacturing” Video Contest is a growing initiative that provides small teams of high school students with a GoPro camera and assigns them to a local manufacturer. The teams create short video profiles of their assigned companies and the career opportunities they offer. The contest was an effort designed to dispel the outdated image of manufacturing as boring, dirty and dangerous and to introduce the community to the lean and clean work environments consistent in the high tech field of today’s manufacturing. The Awards Ceremony celebrated students’ work and critical findings through trophies, speeches, certificates, medals, pictures, and videos. Outstanding Editing: West Chester Henderson High School for their video at Acero Precision. Outstanding Cool: Downingtown STEM Academy for their video at USSC Group. Viewers’ Choice: Oxford Area High School for their video on Aerzen. Recently, a small student team from Phoenixville High School visited Omega Design to film some of its manufacturing operations and to interview its employees. 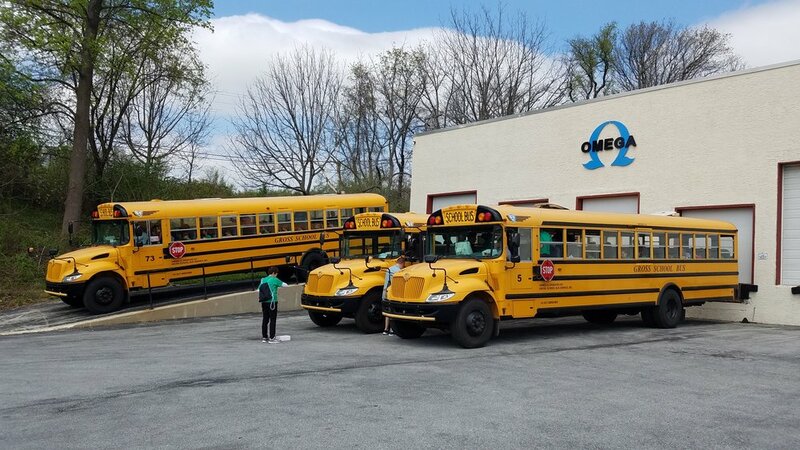 The team was paired with Omega as part of a contest being held in various counties across the state of Pennsylvania, to help raise awareness of manufacturing careers. The first Chester County student video contest was produced by the Manufacturing Alliance of Chester and Delaware Counties in Exton, Pa. The video contest features seven schools and seven manufacturers participating in the program and culminates in an award ceremony that takes place on April 6, 2016, at Penn State Great Valley. Omega appreciates the hard work presented by the Phoenixville High School students and by all of the participants in this year's competition. Please take a few moments to view their video submissions and to submit your vote for the "Viewer's Choice" award. Dream It. Do It. PA is a partnership directed by the Manufacturers Resource Center (MRC) in Allentown, Pa., and is dedicated to changing perceptions and attitudes in the Keystone State about advanced manufacturing careers. Dream It. Do It. PA started in 2013 as an effort called Lehigh Valley Skill Up to raise awareness in the Lehigh Valley area. The popularity of the partnership’s flagship student video contests and its rights to the national Dream It. Do It. brand for Pennsylvania have enabled it to expand its reach throughout the commonwealth.